Shaun grew up DJing weddings with his father and started Colorado Wedding Productions after graduating from CU Boulder. Now 31 years old, he focuses on giving a personalized service and believes it is important to be engaged and sincere in his role as Master of Ceremony. He has a strong talent for orchestrating weddings and matching his music selection to you and your guests musical tastes! 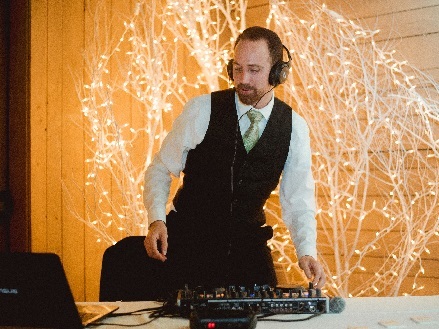 He strives to constantly improve his abilities as a DJ and Master of Ceremony, and will go out of his way to better your wedding in any way he can.